Lock in a great price for Baan Tebpitak Elegant Ayotthaya – rated 9.2 by recent guests! The whole place is super well maintained. The pool area is surrounded by plants. It has a good vibes. The owner is Very nice, helpful lady. The hostess gives you all kinds of great tips about where to go, where to eat how to get to your next destination. Nice pool and good breakfast. The host is definitely one amazing person. She did everything for us so we felt like home. She will give you all the information you need once you arrive there. The room was very nice, pool was lovely, location was very good. We walked most of the places but you can take a tuk tuk for about 100 baht for 3km distance. There are also plenty of restaurants nearby with good local food. Also 2 night markets located about 10-15 mins walking distance. We highly recommend this place for everybody who visits Ayutthaya. The pool, the beatiful garden. The room was spacious and the bed had nice wood carvings. The design of the water bottles! The host, Rita, was really kind. True hospitality indeed! Everything! Owner is a wonderful person and she oversees every detail. The perfect historical getaway. The hospitality of the owner who met us was truly extraordinary. She has provided all the information we needed to discover Ayutthaya's best sights. Overall, we have very much enjoyed our stay at this hotel: the room was very spacious with very comfortable bed, swimming pool was an additional value to our stay and it was simply amazing. The location is great - all the city sights were just a short walk away. Would love to come back there again to enjoy Ayutthaya's charm. The host is absolutely amazing and spot on with her recommendations! Thank you! I stayed there for one night only, unfortunately. 100 meters away from a Major road, absolutely quiet. 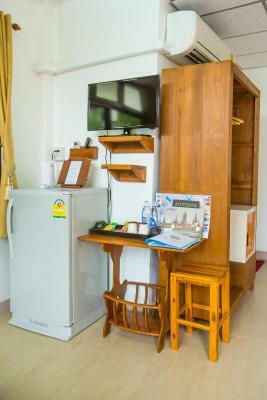 Very nice small Hotel, old, with Teak Wood. Nice and clean rooms. Small pool. Very friendly host. Good bycicles for rent. Good Price. Perfect! Very nice wooden guest house with pool. Very clean and comfortable. Excellent staff. Located within 1.1 mi of Wat Mahathat, Baan Tebpitak Elegant Ayotthaya in Phra Nakhon Si Ayutthaya provides a garden, as well as free WiFi. 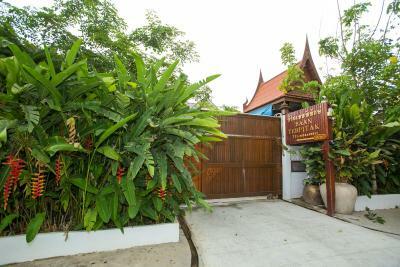 1.5 mi from Chao Sam Phraya National Museum, the property is also 2.1 mi away from Ayutthaya Historical Park. The hotel has an outdoor swimming pool and luggage storage space. All rooms come with air conditioning, a flat-screen TV with satellite channels, a fridge, a kettle, a shower, free toiletries and a wardrobe. The private bathroom is fitted with a hair dryer. The hotel offers a sun terrace. Guests at Baan Tebpitak Elegant Ayotthaya will be able to enjoy activities in and around Phra Nakhon Si Ayutthaya, like cycling. Wat Yai Chaimongkol is 2.1 mi from the accommodations. 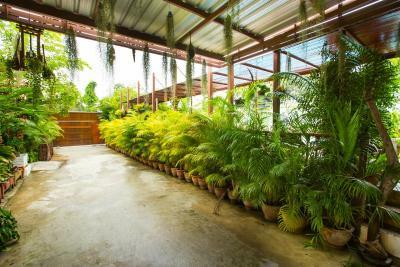 The nearest airport is Don Mueang International Airport, 34 mi from the property. 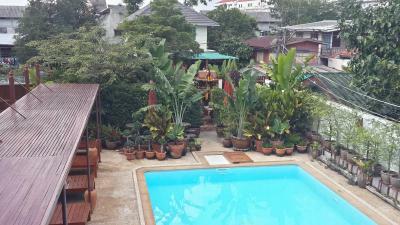 This property is also rated for the best value in Phra Nakhon Si Ayutthaya! Guests are getting more for their money when compared to other properties in this city. 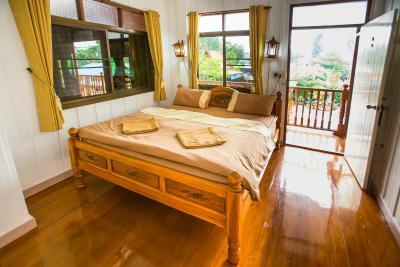 When would you like to stay at Baan Tebpitak Elegant Ayotthaya? 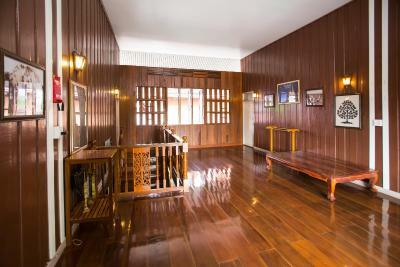 Offering a teak floor, this air-conditioned room features a TV, mini-bar and an electric kettle. 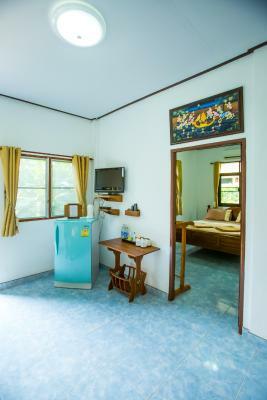 Offering a tiled floor, this air-conditioned room features a TV, mini-bar and an electric kettle. Offering 2 separate bedrooms, this air-conditioned unit features a common area with a TV, mini-bar and an electric kettle. 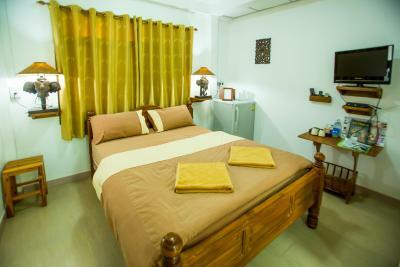 Offering 2 king-sized beds, this air-conditioned room includes a TV, mini-bar and an electric kettle. 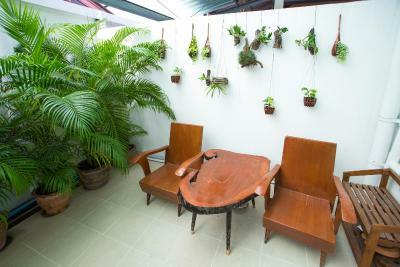 "Baan Tebpitak Elegant Ayotthaya Guesthouse”, your home away from home in the historic town of Ayutthaya. 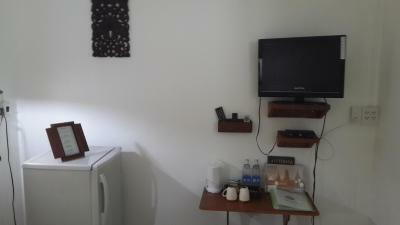 Located 700 meters away from the Ayutthaya Historical Park. 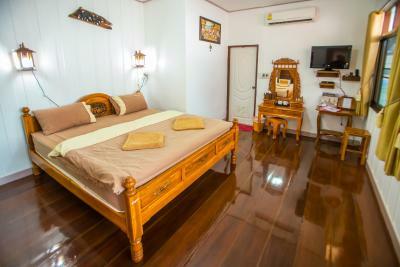 We provide clean and comfortable rooms in peaceful & safe surroundings at affordable rates, as well as a newly built onsite swimming pool where you can relax after a day of sightseeing. We cater to individual travelers and to families with kids age over 12 years old. Please notes that : 1. we do not have any facilities for baby, young kids & handicap. 2. we open from 08:00 to 19:00, daily. Thus, please kindly inform us your estimated arrival time. House Rules Baan Tebpitak Elegant Ayotthaya takes special requests – add in the next step! Please inform Baan Tebpitak Elegant Ayotthaya of your expected arrival time in advance. You can use the Special Requests box when booking, or contact the property directly using the contact details in your confirmation. this hoteru is nice thaihouse hoteru. this hoteru has a nice pool. the stuff was also very kind for me who can not speak english. Absolutely everything. 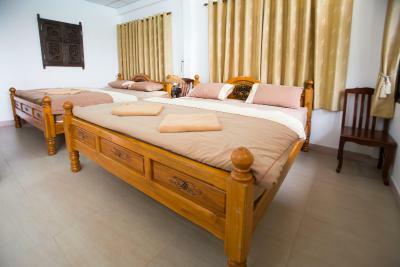 Great location - peaceful and quiet but only a short walk from restaurants, coffee and temples. 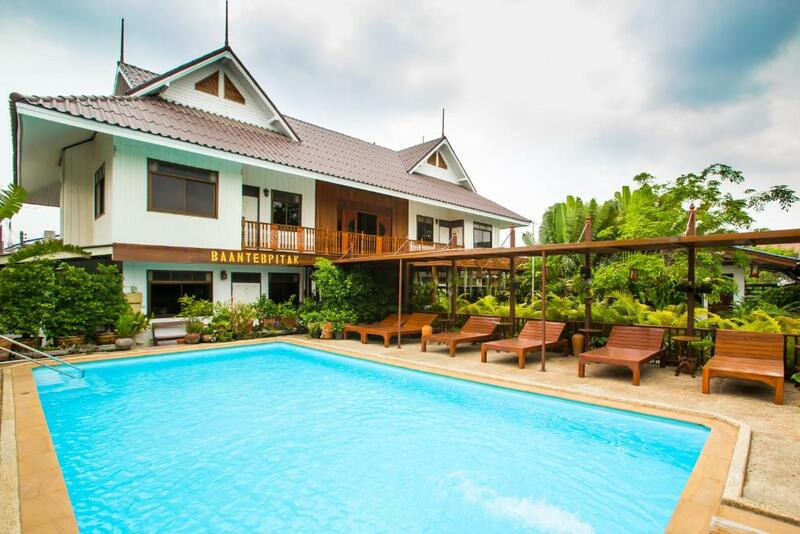 Lovely teak house with lush garden and excellent pool. Rita could not have been a better host, looked after me like she was my mum (I an 62!). Really knowledgeable and helpful in every way. Would stay again if return to Ayutthaya. Thanks for a memorable time. Rita was a wonderful helpful and great hostess. The hotel is quiet. You only hear birds. 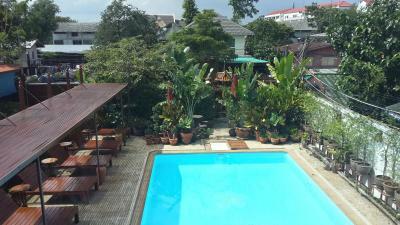 The garden and the pool area are beautiful arranged and the hotel gives you a warm welcome of Thai hospitality. All the sights and night markets are not far away by bike or car. The pool has a lot of chlorine. This is probably safe but not so nice. The hotel is ideally situated very close to the city center and to the touristic area. It is not far away from the train station. It has bicycles (we use it a lot). Rita is very helpful. The house is very nice, all made of wood. Hospitality of Rita and her team. Always ready to give you advice. The place to be in Ayutthaya ! The lady from Baan Tebpitak was extremely friendly and helpful. 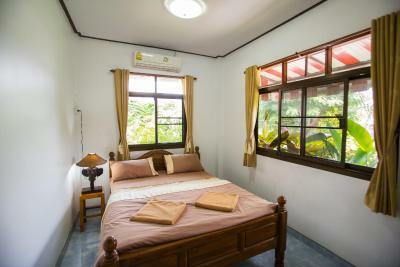 Quiet and charming guest house with wonderful pool and garden to relax after a hot day in the city. The guesthouse was more beautiful than we expected it to be, totally recommending it! Room was cozy. Rita,the Manager was excellent. Gave us great info, called tuk tuk for us, came out to gate with us to be sure driver understood as we were using drivers to wait between places. She even sent us off with water and oreo cookies on our departure morning. Breakfast is 199.00 baht each if not included in your rate but it was a treat as we have mostly been eating street food breakfasts. Included in breakfast is juice, tray of watermelon amd pineapple, then whatever you order. Pool is nice, gpod shaded area to lounge in. Great value. The only thing that was a bit temperamental was the air conditioning. but overall it worked and that's the main thing! Rita is amazing! Super friendly, helpful and full of knowledge. The rooms are large and comfortable. It's great value for money and I would definitely recommend staying here! Charming guesthouse, very clean. Quiet location and ideal for excursions to the historic sites. Landlady is a wonderful host, we had a lovely stay and can highly recommend this accommodation! Superb service from Rita, the friendly and knowledgeable owner and hostess, who couldn’t do enough for us supported by a good team. Lovely crystal clear swimming pool. Bikes for hire on-site. Decent shower with plenty of hot water. Tranquil location. Too many rules. No scooter if you do not have an international drivers license (we did have a standart drivers license valid in the EU). However if you go to December house next to the river they will rent you one just like anywhere else in Thailand. You cannot smoke anywhere unless in the smoking area due to the fact that the other guests may complain. They rent bikes, but they're no good. Thats what you get for 50 baht, like the hostess said. If you want better ones its 1800 baht per day (no joke).